Riding the wave of success with ECOMSILVER & Vend | eCommerce blog by ECOMSILVER - best UK eCommerce platform. 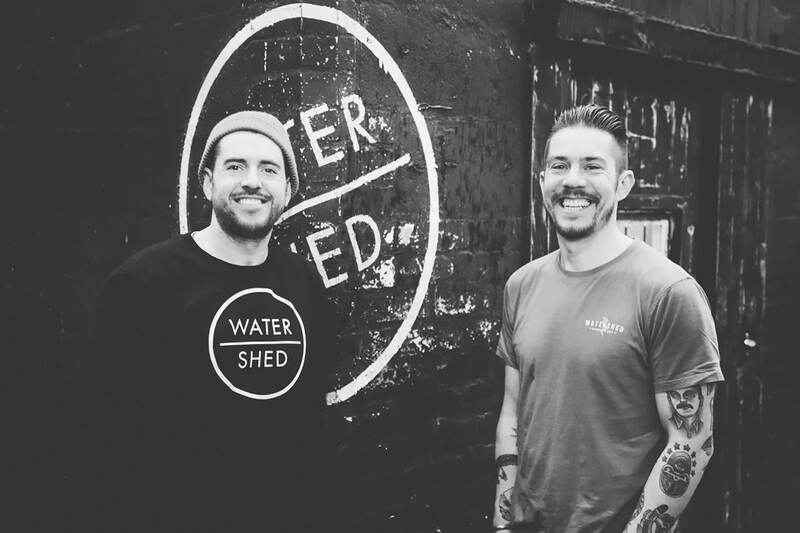 Watershed co-founders Jake Patterson and James Wright are celebrating a new accolade, subjects of a new Vend case study and Vender of the week Status. Their use of the ECOMSILVER platform successfully integrated with Vend POS software has been highlighted as a shining example of deploying the latest technology to maximise business efficiency and profits. In 2012 Jake Patterson and James Wright turned their passion for the ocean and all things outdoors into their business with the opening of the Watershed concept store in Newquay, Cornwall. They initially focused on selling brands and products, until then unavailable in the UK., which then organically progressed into designing and producing their own clothing line. Watershed are now recognised as one of the top ‘alternative surfboard’ providers in the UK have grown their brand to include three retail units, a coffee shop over their flagship store and a thriving international online business. Like ECOMSILVER, Watershed have a history of challenging the norms, their retail outlets and online stores are fully integrated. Gone are the traditional cash tills, in their place iPads which through the Vend POS software and ECOMSILVER Platform, allow their team not only to process transactions but also control store music, customer requests, queries and check their online stores. Jake went on to say, “We are absolutely delighted with the Watershed website. We have worked with many web designers and used different platforms before, but ECOMSILVER stand out as a seriously talented team with excellent customer service. We find the EVO-hosting package invaluable because it enables us to update our website whenever and as often as we want, which gives us a great advantage over competitors”. ECOMSILVER is a dedicated eCommerce website company offering a wide range of services for your online shop: Website design, eCommerce website services, marketing, logo design, SEO and reach multiple marketplaces. © 2018 ECOMSILVER. All Rights Reserved.